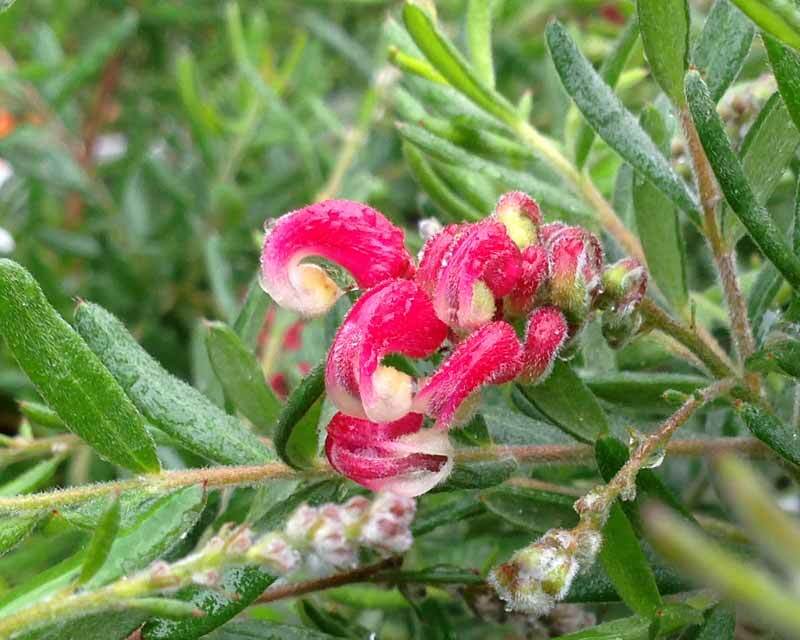 Grevillea x 'Honeyeater Heaven' is a compact native shrub growing to about 80cm tall and up to 1m wide. 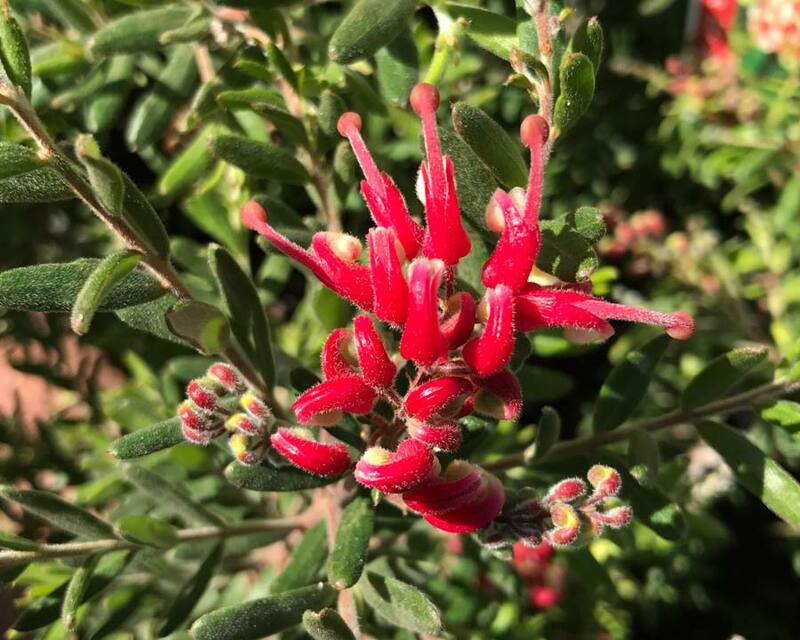 In winter and spring it produces lots of small clusters of very attractive red and white flowers which attract plenty of birds, bees and beneficial insects to your garden. The leaves are small, bright green and elliptical. 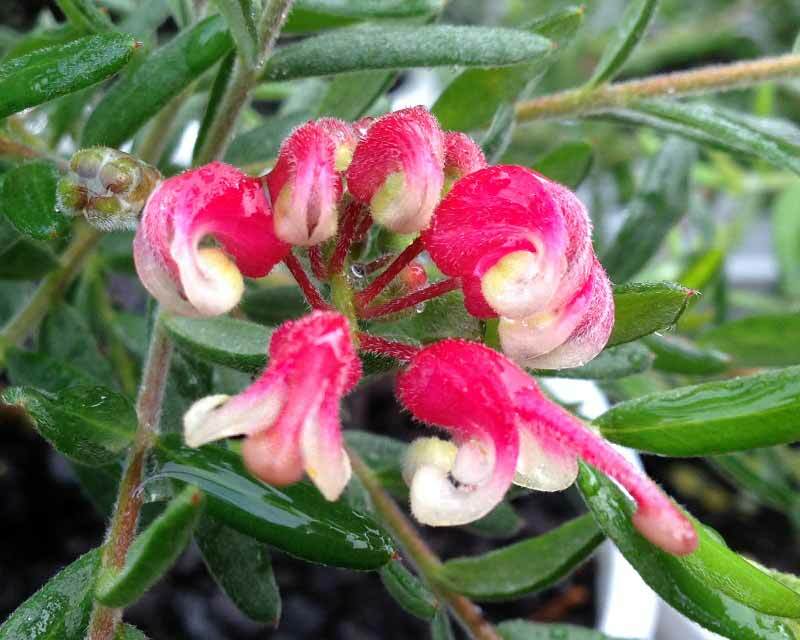 This makes a great addition to your garden and as well as going well in garden beds and rockeries it can also be successfully grown in pots. Soil: Prefers well drained soils. Maintenance: Mulch well to retain moisture. Feed using a sustained release fertiliser for Natives (low in phosphorus). The frequency of application is stated on the pack, it is worth noting that the rate of release of the nutrients is dependent on temperature. In warmer conditions the nutrient will leach into the soil more quickly so the fertiliser may need to be applied more frequently than directed on the pack. Check with your local horticulturalist to confirm timings. In most cases a single feed in spring will be sufficient. Although drought tolerant, Grevillea will produce more flowers when watered regularly. Prune after flowering to maintain compact and dense growth habit.